Let us do all the heavy lifting. When it’s time to refill your water treatment system, we’ll handle everything. 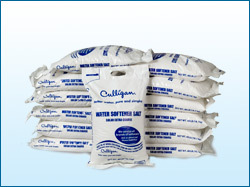 You do not have to own or rent a Culligan softening system in order to take advantage of our salt delivery service. Contact us today and we create a delivery schedule for you.